Revue editor Terry Biskovich (partially hidden by sapling) admires her mother’s memorial tree as others attending the planting look on. 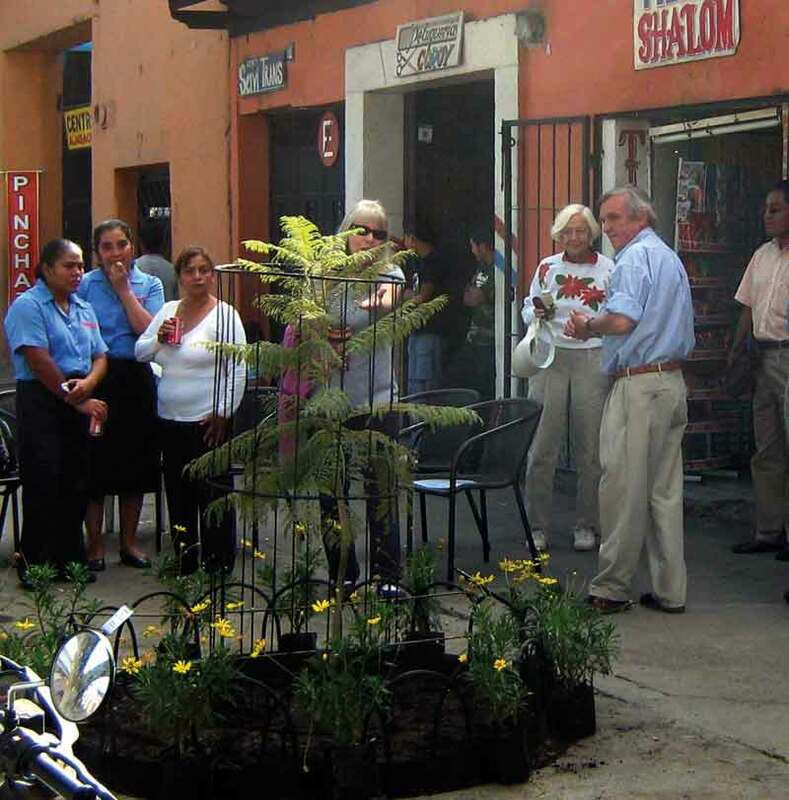 Nineteen new tree and flower gardens were planted in 2008 along the Alameda Santa Lucía in La Antigua Guatemala, among them memorials for Bill and Liz Paddock, Bobbi and Hank Duflon, Mary Sue Morris, and Edie Kovick, mother of REVUE editor and co-publisher Terry Kovick Biskovich. Recently a Guatemalan couple from Silver Spring, MD donated a tree garden “in memory” of the husband’s parents. 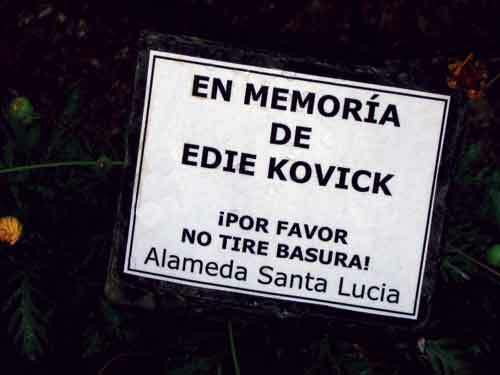 When asked when his parents had died, the husband said, “Oh, they’re not dead. 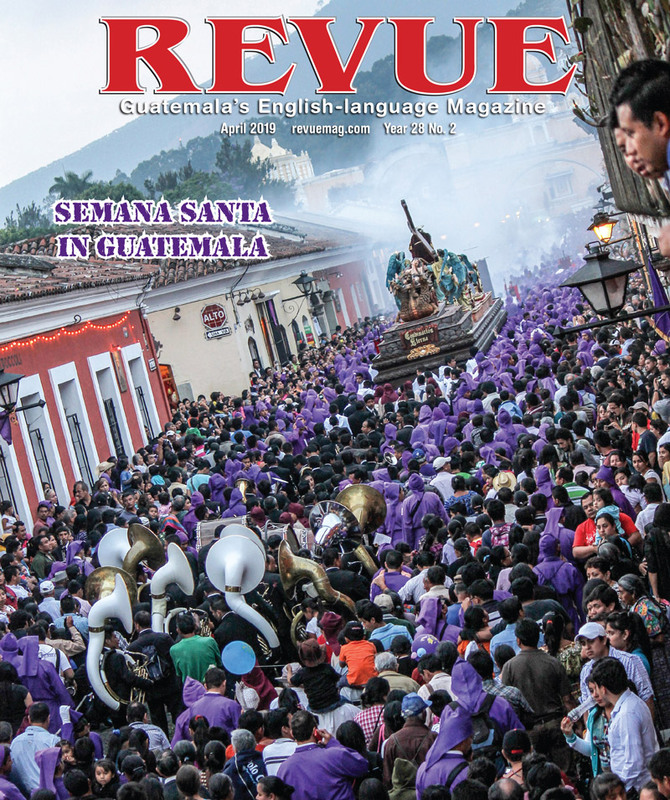 They’re doing just fine living in Santiago Sacatepequez.” Local businesses also have donated gardens and sponsored their upkeep. 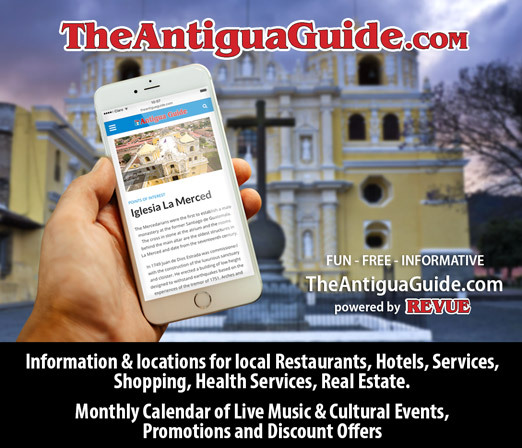 Tomas and Barbara Cernikovsky started the garden project in 2001, soon after their move to La Antigua from New York’s Lower Manhattan. Whenever they stepped outside their home on the alameda—the divided boulevard running north and south on the west end of town—they noticed the trees were dying or dead from neglect. There were 162 spaces for trees. Now there are 193, including new trees and flower gardens to replace the dead ones and new holes dug into the alameda’s concrete median and sidewalks. Project gardener José Benigno Obando keeps the gardens watered and maintained. Always the optimist, Tomas hopes the municipality will eventually take over the maintenance. 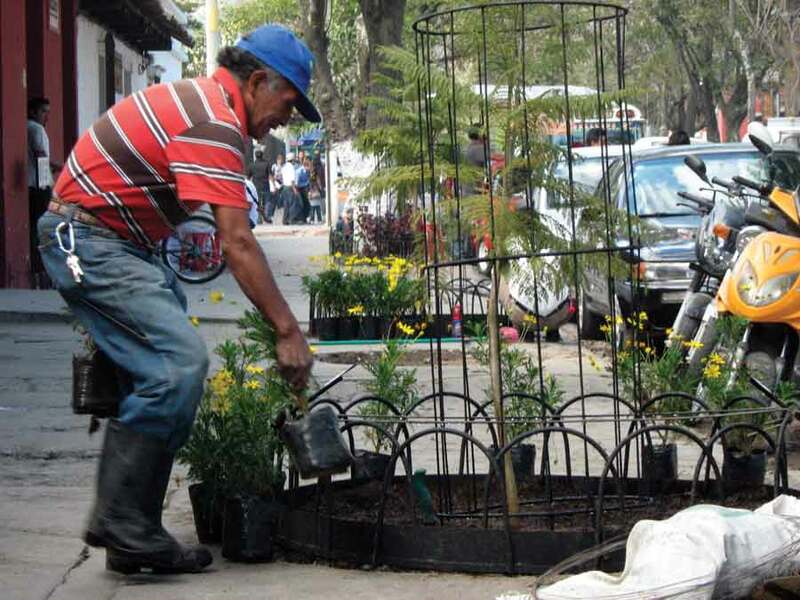 Meanwhile he’s working with Mayor Adolfo Vivar by providing supplies to municipal workers, who paint the tree bases and garden fences. 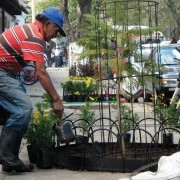 For more information about Proyecto de Jardinización de La Alameda Santa Lucía, see La Alameda Santa Lucía.